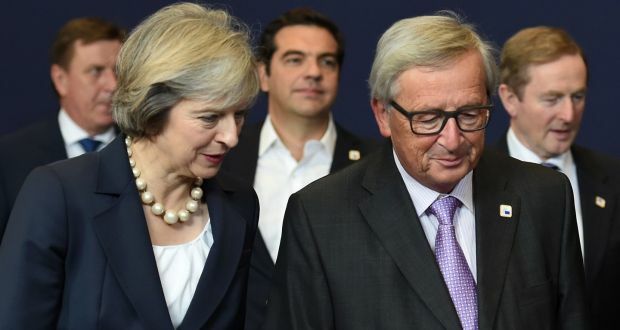 For her first PM speech at the EU summit, Theresa May was given a prestigious slot, between the traditional ceremonies of “Clearing the coffee cups” and “Laying the breakfast tables”. After thanking her hosts for the honour of “the last speech”, with time limits enforced by Nicholas Parsons, Mrs May apparently gave a punchy address. Given that she was drowned out by several vacuum cleaners, it’s not possible to be sure but it was believed to have been delivered without hesitation, repetition or deviation; a view supported by Mr Parsons who awarded points, for speaking when the whistle was blown and for not being interrupted. Belgian hotel staff said that they apreciated the brevity of Mrs May’s speech but that she should have lost the subject, after stating “Brexit means Brexit”.